Dr. Dan Carroll is committed to high quality dentistry and to establishing long lasting relationships with his patients. 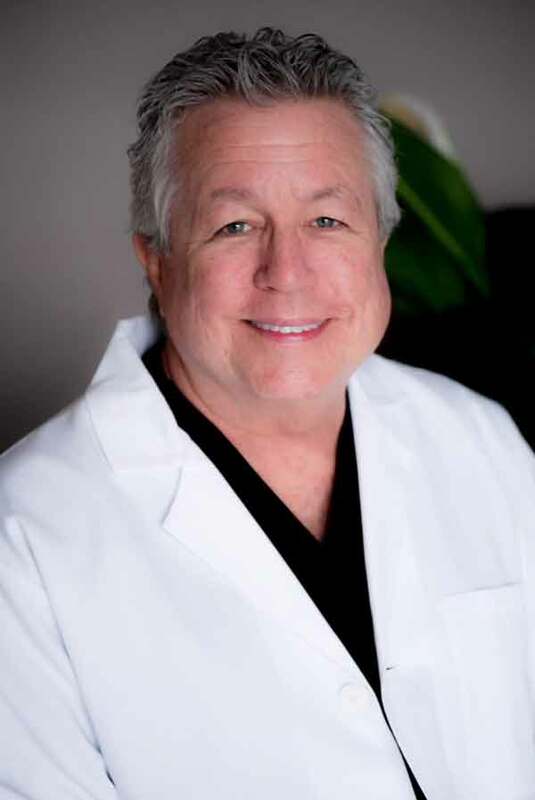 He has been serving the community of Louisville for more than 30 years as a general dentist, concentrating on family practice and aesthetic dentistry. Dr. Carroll graduated with distinction from the University of Kentucky College of Dentistry in 1983. During his studies there, he was awarded the Senior Awards from both the Academy of General Dentistry and the Southeastern Academy of Prosthodontics, and was also awarded membership into Omicron Kappa Upsilon, the National Dental Honor Society. Following his graduation, Dr. Carroll set up his own dental practice in Louisville and continued to operate this while also serving as an assistant professor at the University of Kentucky College of Dentistry from 1986 to 1992. Dr. Carroll is a member of several prestigious dental and professional organizations, including the American Dental Association, the Kentucky Dental Association, the Louisville Dental Society, Omicron Kappa Upsilon, the Better Business Bureau, and Rotary International, of which he holds honorary member status as a Paul Harris fellow. At Carroll Dental Care, we believe in providing the same quality of care to our patients that we would provide to our own families—nothing less. In addition to the dental procedures that we perform in our office, we also work with several excellent specialists. If you require a more complex therapeutic regimen or are interested in a specific treatment that we don’t provide, we will assist you in seeing the appropriate specialist/provider of that care. A smile can be dulled by stained, chipped, cracked, or misaligned teeth, but bonding can quickly and painlessly restore your smile’s natural beauty. During the procedure, a thin coating of plastic or resin is painted over the damaged teeth, strengthening them and making them virtually indistinguishable from natural teeth. An excellent alternative to crowns, veneers can perfect your smile by masking stains, hiding chips, correcting misalignment, and creating uniformity. Veneers are made of thin, customized material designed to slide over the teeth. They look incredibly natural and can be long lasting. Many of us feel that our smiles are most striking when our teeth look especially white, but unfortunately, soft drinks, coffee, tea, and tobacco can leave behind ugly stains. To help you restore your gleaming, bright white smile and to give you an added boost of confidence, we offer several whitening options. Gone are the days when tooth ailments and cavities could only be treated with unsightly metal fillings. Today, modern, tooth-colored fillings made of durable resin or porcelain can be bonded to your teeth for a stronger, more natural-looking effect. Also called caps, crowns are natural-looking covers that fit snugly over teeth to conceal cracked, badly discolored, injured, or chipped teeth. Crowns will minimize physical discomfort in teeth and provide support to damaged or weakened teeth. Ultimately, crowns can improve the overall appearance of your smile while making your teeth more resistant to injury. If you are missing teeth, you may have trouble speaking or chewing, or may notice strain when biting. Bridges may be the ideal procedure to help. Bridges actually bridge gaps between teeth by filling them with strong, natural-looking, artificial teeth. Twice-daily brushings and regular flossing are excellent for maintenance between office visits, but a healthy mouth and beautiful smile require routine general and preventive care to stay that way. Our practice offers general care that includes regular oral examinations and cleanings. Our preventive care includes fluoride, sealants, and periodontal (gum disease) treatments designed to help you maintain your smile’s health and beauty. Unfortunately, periodontal (gum) disease can lead to more than just an unsightly smile and bad breath – it can cause loss of teeth. If left untreated it can lead to more serious health problems. Periodontal disease is caused by excessive toxic bacteria (found in plaque) that attack your mouth’s soft tissues. Using a variety of non-surgical techniques, we can help you minimize the damage caused by periodontal disease. Sometimes oral surgery is the best option to help you achieve maximum oral health and a flawless smile. We may suggest a surgical procedure to you for treatment of your teeth, gums, soft tissues, joints, or jaws. Wemay refer you to a specialist, if wefeels it is in your best interest. Today’s technology allows us to fully customize dentures to fit your mouth precisely and to exactly match the color of your existing teeth. A good fit ensures chewing comfort and added strength. Removable partial dentures fill gaps left by missing teeth. Partial dentures are held in place with metal clasps or precision devices (tooth-colored, discreet clasps) that attach to your natural teeth. Usually made of resin or metal, partial dentures allow more comfortable and effective chewing, improve speech, and prevent sagging of the cheeks and lips. Complete dentures are an option for people who have lost all their teeth. Precisely designed and molded to fit one’s mouth, full dentures slide over the gums and are held in place with strong cheek and mouth muscles. They allow for more effective chewing and keep the mouth and its surrounding features in proper alignment. Dental Implants offer an amazing solution to missing teeth. Implant dentistry is the most advanced therapy available to replace teeth, or even a single tooth. Not only do they look and feel like real teeth, but dental implants allow you to enjoy the function and confidence of natural teeth. A dental implant is a small titanium screw or cylinder which is surgically placed in the jawbone.The implant replaces the root of the missing tooth, providing an anchor for your new tooth/teeth. The end result is a strong, secure tooth that is virtually indistinguishable from natural teeth. Because dental implants require surgery, they are intended only for candidates with sufficient bone and healthy gums. Invisalign is an esthetic orthodontic technique that corrects malocclusions using a series of custom-made, nearly invisible, removable Aligners. This is an option for straightening teeth without brackets and wires. Straighter teeth not only improve your smile, but just as importantly, simplifies oral hygiene making it easier to maintain your oral health. Excessive clenching, grinding, or poor bite alignment can strain your jaw joints, jaw musculature and injure your teeth. As the condition worsens, dizziness, ear pain, head and neck pain, chewing difficulties, muscle soreness, and even throat pain may surface. To correct such problems, we can fit a custom removable bite guardto help restore balance between the teeth, muscles, and joints. When worn, these guards prevent teeth from touching one another, ultimately relaxing the jaw muscles and alleviating pain. Sports are advantageous for many reasons – they’re fun, they build teamwork skills, they offer excellent cardiovascular benefits, and they are great to watch. But many types of sports can put participants at risk for a dental injury, whether that is cracking a tooth, losing a tooth, or even breaking the jaw. We can custom design a sports guard to fit your mouth by taking a cast model of your teeth. This guard, which covers your upper teeth, is the best option available for protecting your mouth from sports-related injuries. They are custom made, which means they are comfortable and won’t interfere with breathing and speaking. Snoring can not only disturb the quality of sleep for both snorers and their partners, but it can also, in more severe cases, be dangerous. Snoring appliances are custom-fit mouth devices that can significantly reduce the level of snoring. They work by moving the lower jaw into a more forward position. This, in turn, increases the airflow space through the mouth and throat and decreases air friction and vibration. The result is a quieter and more restful night’s sleep for all involved. Root canal or endodontic therapy is needed when the pulp/nerve of a tooth becomes infected or inflamed because of bacterial invasion or physical injury. The inflammation and infection will sometimes cause pain, however, infectioncanstill be present even if there are no symptoms. During the root canal process, the nerve is cleaned out and the tooth is disinfected. A specialist is occasionally needed to perform this service and we will refer you to one if we feel that will render the best outcome. After root canal therapy, the tooth will usually require a crown to restore it and protect its structure.